Aqurus Solutions is pleased to announce that they will be attending the Cargo Logistics Canada Expo+Conference this year to showcase the award-winning features of the Acumatica Supply Chain Management Suite. 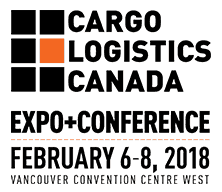 Held in Vancouver at the Convention Centre (West) on February 6-8, 2018 the Cargo Logistics Canada Expo+Conference) addresses the needs of cargo owners, managers and agents who contract the flow of goods through Canadian supply chains. CLC encompasses the entire cargo spectrum – all major transportation modes and all cargo types, under one roof. Acumatica’s Supply Chain Management Suite enables businesses to manage sales orders, track inventory, fill orders, improve purchasing, and provide customer support from anywhere with supply chain ERP software that is fully integrated with Acumatica’s CRM, Financials, Manufacturing, and Project Management for visibility across the entire organization. Joining other national and international exhibitors at the Expo, the Aqurus Solutions team will demonstrate the SIIA CODie Award winning “Best Supply Chain Management Solution of 2016” to conference attendees interested in automating and improving their Supply Chain Management systems and processes. Cargo Logistics Canada (CLC) addresses the needs of cargo owners, managers and agents who contract the flow of goods through Canadian supply chains. CLC encompasses the entire cargo spectrum – all major transportation modes and all cargo types, under one roof. If your company has a supply chain that runs through Canada – you will want to attend CLC 2018!